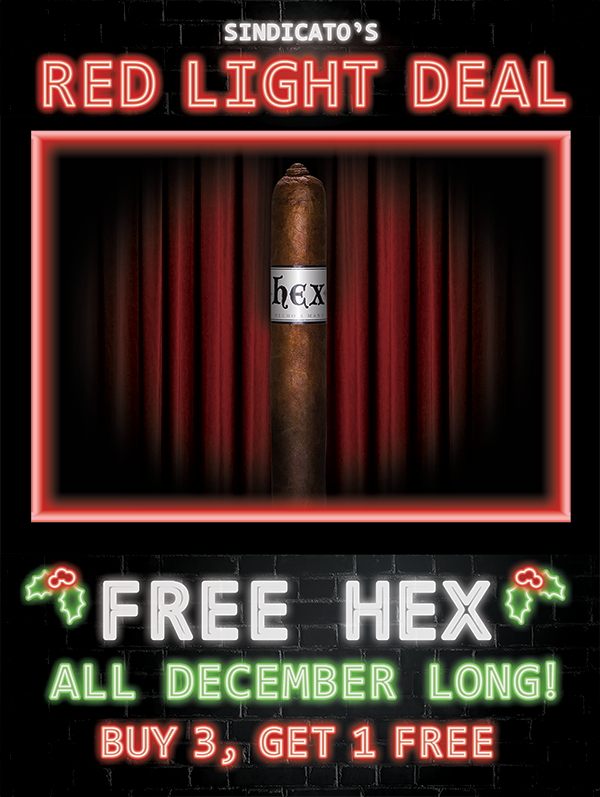 FREE Hex All December Long! The holiday season is upon us and we’re here to spread some cheer. 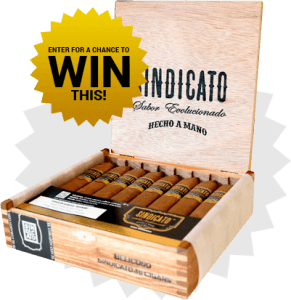 Get to any participating Sindicato Retailer and Buy 3 Hex cigars, Get 1 FREE! Hex is a great medium smoke with a rich, dark Ecuadorian Habano Wrapper that delivers bold, hearty, earthy flavors. It comes in fives sizes: Toro 6 X 54, Figuarado 5 1/4 X 52, Perfecto 6 1/4 X 52, Churchill 7 X 54, and Robusto 5 X 52. If you haven’t tried one, now is the time. If you have tried one, stock your humidor while you can and they make great gifts for the holidays!